How to Make Your Personal Core Values Memorable? This concept motivates to take actions on a daily basis to reach higher value standards. It may be used to help people who are planning to develop habits or change a behavior. 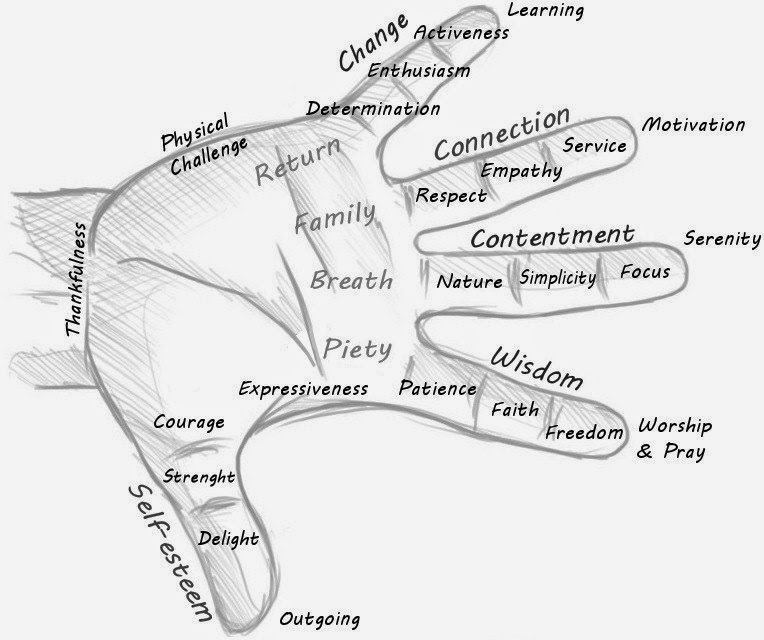 Every time you catch yourself thinking negatively, you may interrupt this pattern by touching the particular part of your hand. 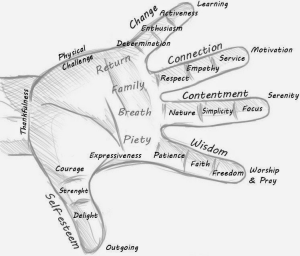 We are using the reflex points of the hands to assess health conditions and to connect to the relevant portions of the body (reflexology). Why don’t we use them to connect to our minds? Our minds are capable to do so.